Most of the mail in my letterbox these days seems to come in those dreaded window faced envelopes. So I love it when postie delivers me a package instead. And oh how lucky I am - I've received a package of goodies from Cousin Corp to play with! 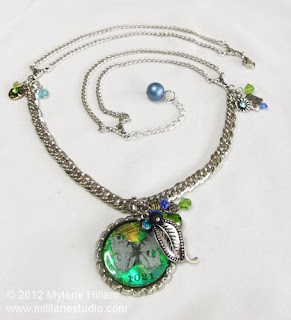 It's full of Crystazzi crystals (sparkle, sparkle), Trinkettes (yum, yum) and beads from the Jewelry Basics range. I've talked about Jewelry Basics before - it's the range of beads you go to for all the jewellery making staples you need, the types of beads and findings you always reach for when you're making jewellery. So with such a bounty of goodies to play with, I am designating this week: Cousin Corp Week. Remember those gorgeous resin butterfly charms I made earlier for International Charm Day? Well, as luck would have it, they will work beautifully with the selection of blue and green beads in my Cousin package. Today I've selected the dangling charms from the Glass Metal Bead Cluster set. This is a selection of crystals, metals and glass pearls, already threaded onto headpins and jump rings so that all you have to do is add them to your project - pretty neat, huh! For this piece, I've glued a large-holed bail to the back of the butterfly bottle cap and threaded it onto a length of Jewelry Basics Medium Flat Chain. This short length of chain was left over from another project and I didn't have enough for the whole necklace but I'll tell you how I got around that shortly. 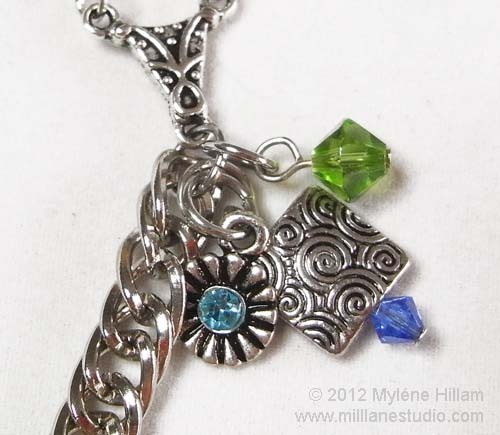 To add interest to the focal, I've clustered a few of the crystal and metal charms on the bail. 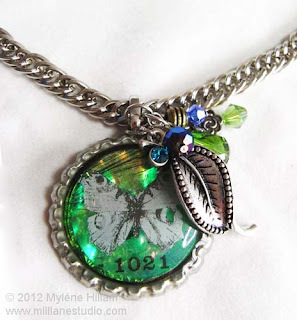 I also added the crystal-set leaf from the Mixed Leaf Charm set. 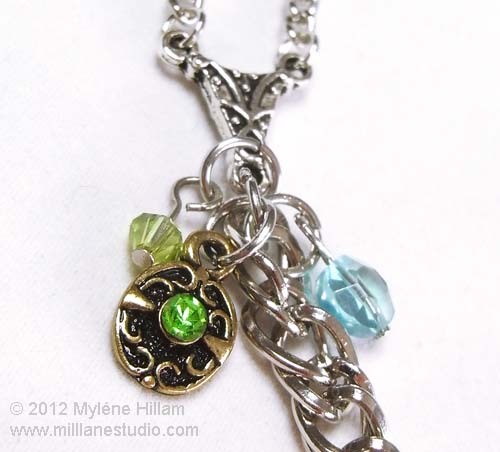 As I mentioned, I only had a short length of the Medium Flat Chain for this necklace but I still had a few of the charms from the Cluster set left so I decided to add a two-into-one connector to each end of the chain and use two lengths of Small Flat Chain for the back part of the necklace. At the connectors, I used the remaining charms from the Cluster set - it adds a nice bit of detail and ties the necklace together without making it look like I ran out of chain. 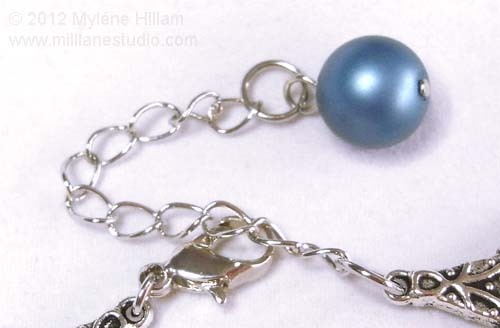 I added the last Cluster charm to the extension chain on the clasp. And here's how the necklace came together - very fresh, and very spring! Join me again later in the week to see some of the other ways I use this wonderful selection of Cousin beads. Will the Wood Look Good?